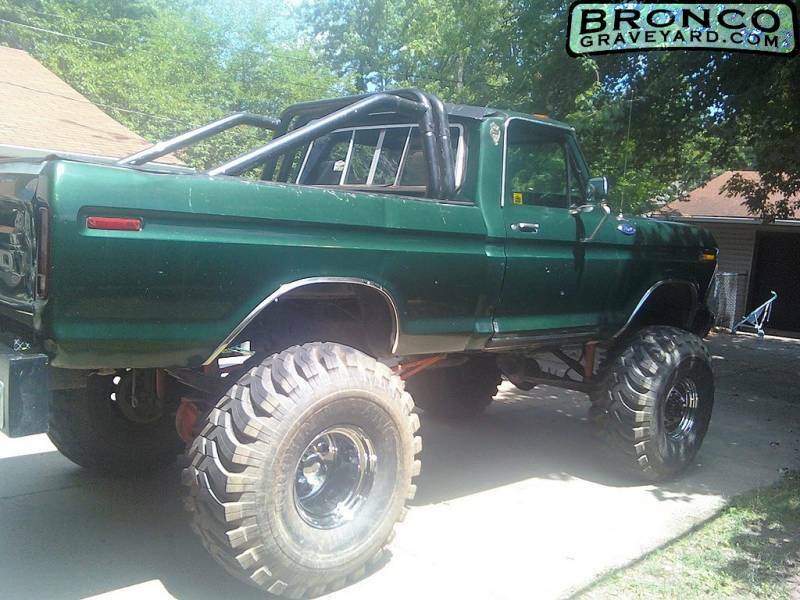 ---SOLD-------GONE------77 f-150 Custom body/f250 frame, suspension and axles with 44in Ground Hawgs and alot of lift 13 to 14 inches total. 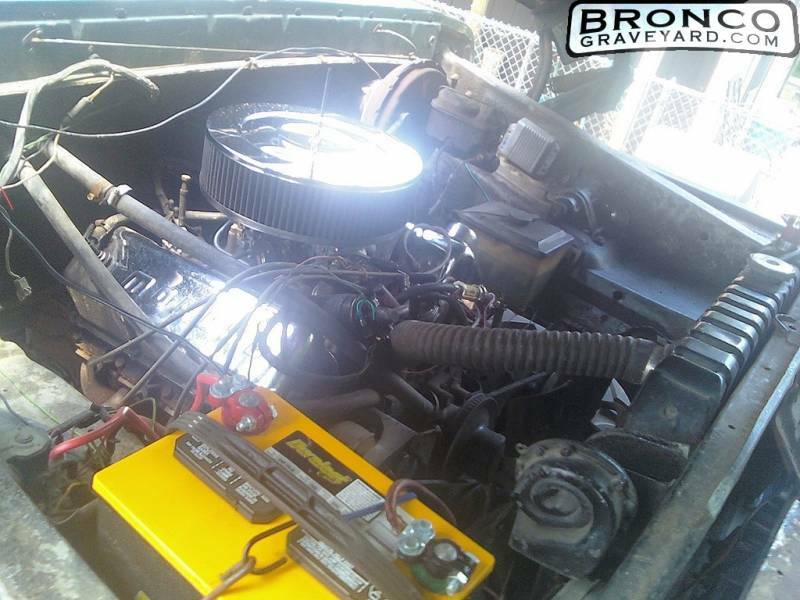 400 with 650 holly 4 barrel,Edelbrock intake manifold, full headers and rv cam. 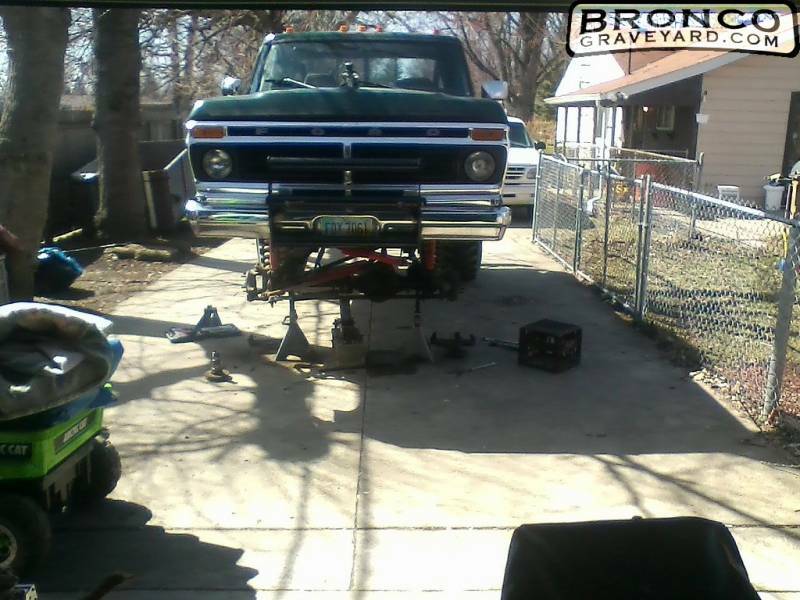 NP 435 4 speed trans and has dana 44 HD front and dana 60 rear . front has 5.13 gears with aussie locker and i'm not sure about the rear locker cause i cant identify it since i didnt put it in. 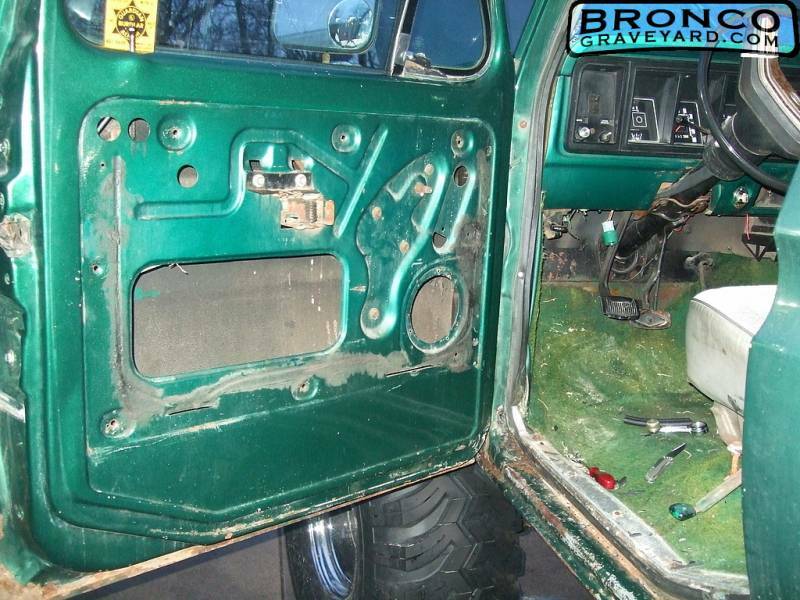 Would be willing to trade for a 3/4 to 1 ton ext cab or bigger truck i can use for towing my landscape gear with. thank you. 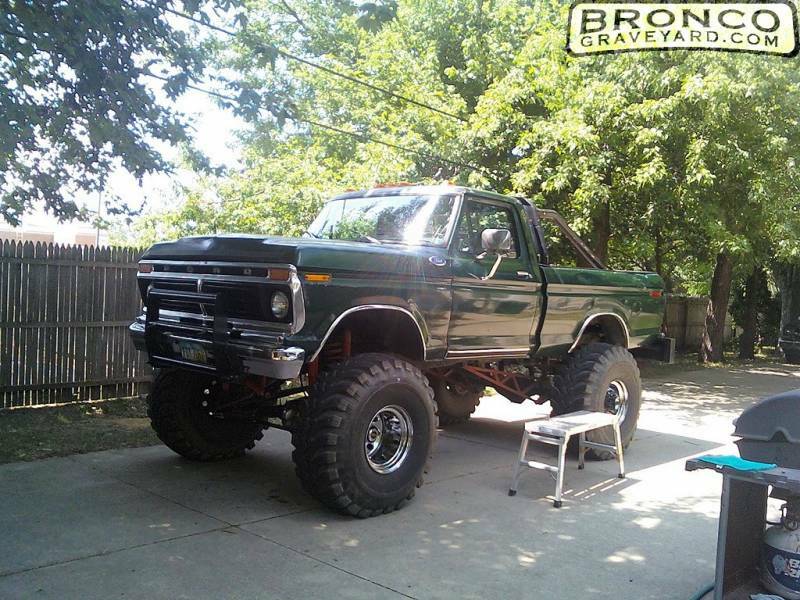 its kind of my dream truck. 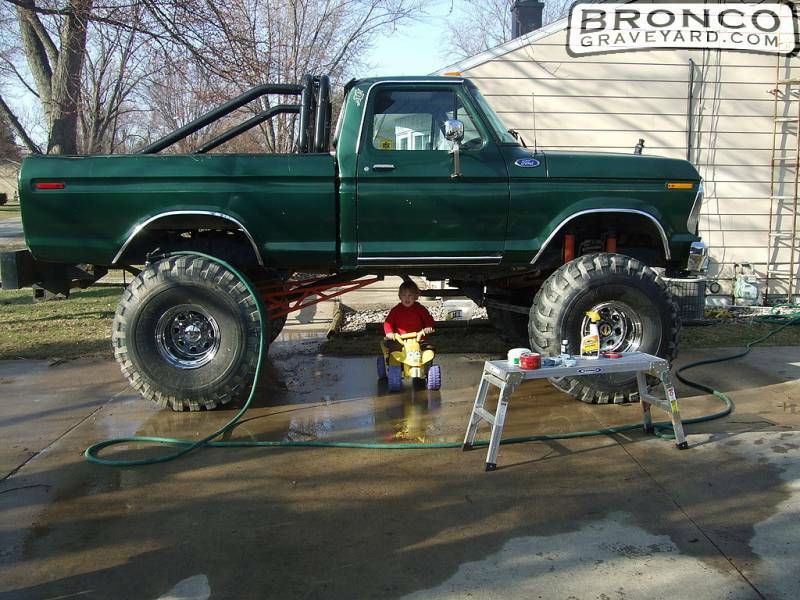 when i was as small as my son there my dad had a 79 f250 with 40's. Nice truck indeed! 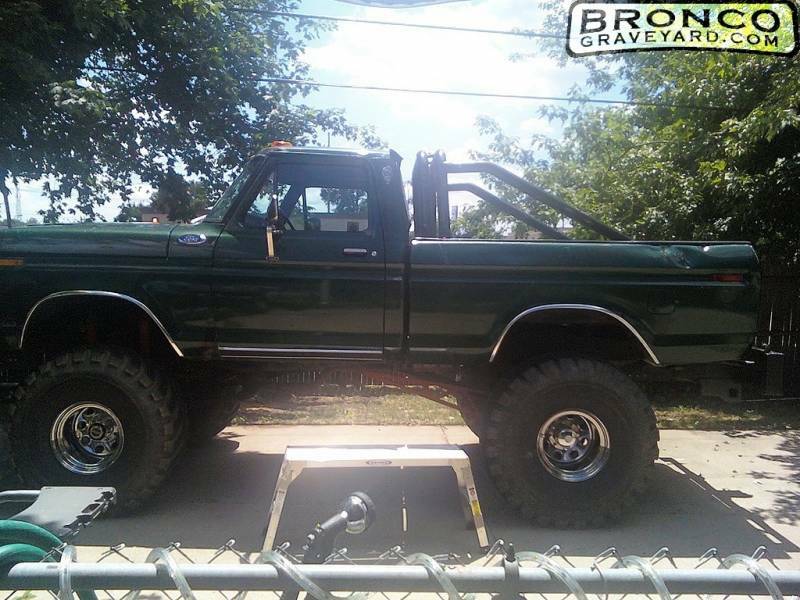 I have a 79 F150 with 40 inch tires and wanting to go bigger. 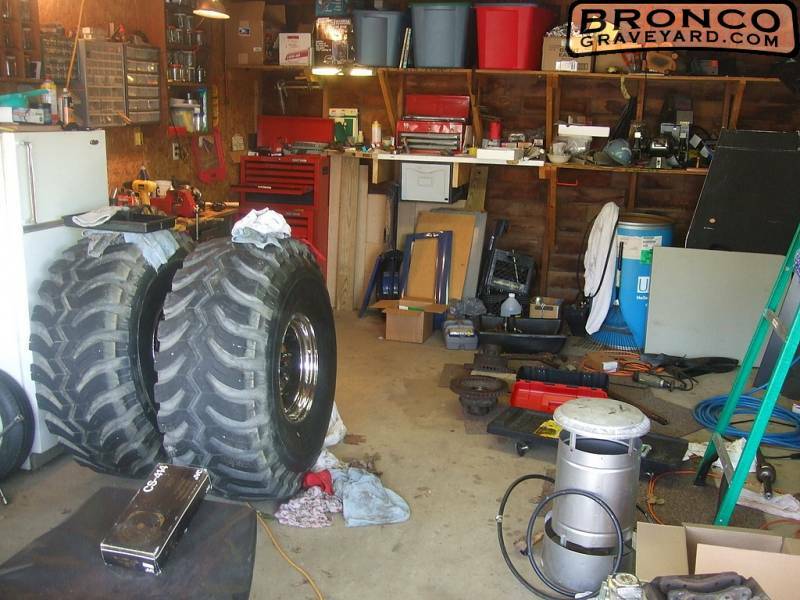 I've been eyeballing some 52 inch military tires that are half the price of the 40's I'm currently running. 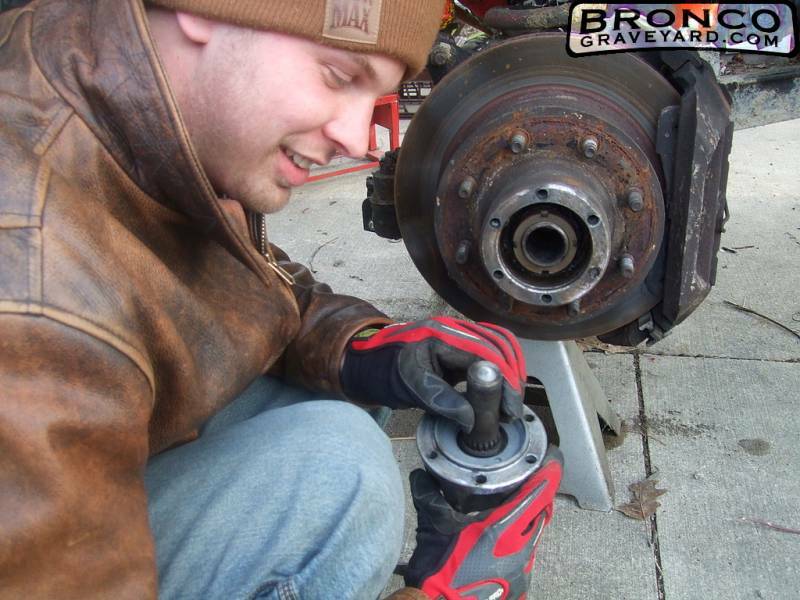 I just need more lift to get them under my truck. How much lift do you have now? 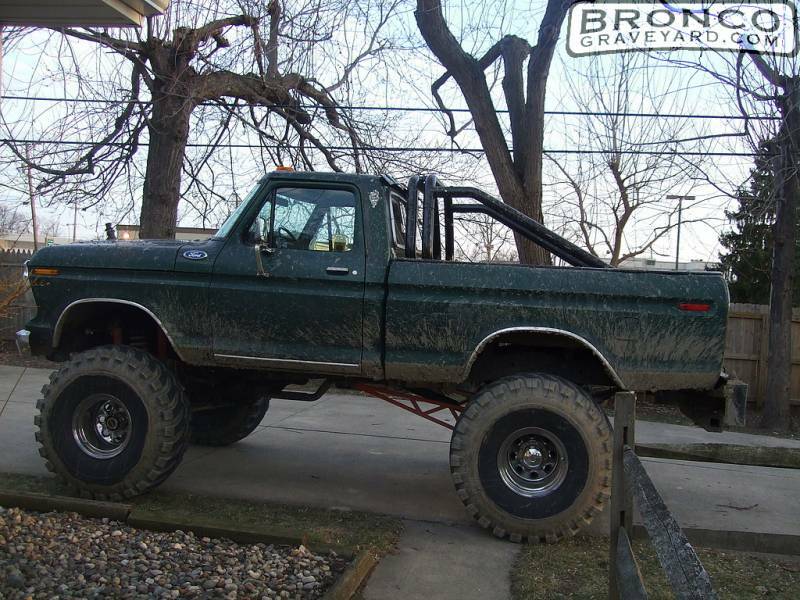 i did not install the lift but i do know it has 9 inch suspension and 3 inch body. 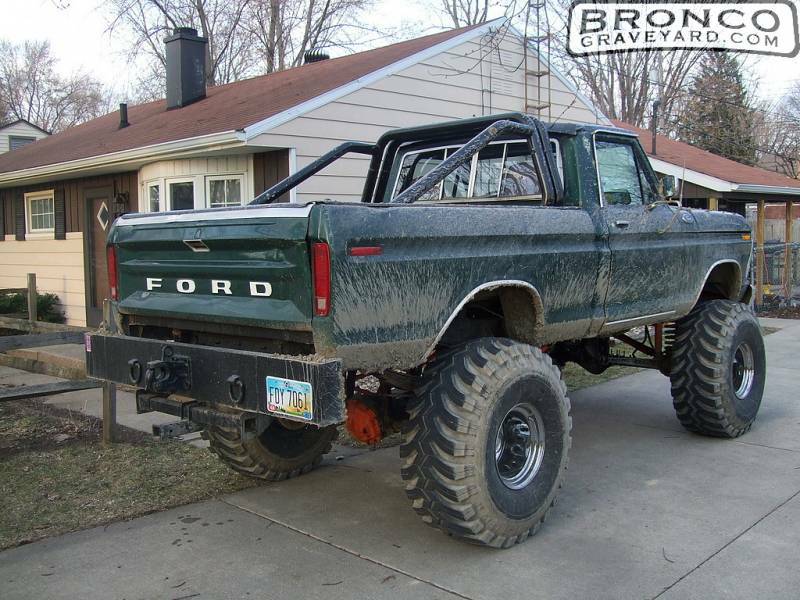 with 52 in tires you are gonna need some offset rims or you will hit the frame when turning and bouncing. but i drive my to work so it has to be street legal. good luck! Yes, the 52's need a 20 inch rim. Mine are currently 15 in rims. 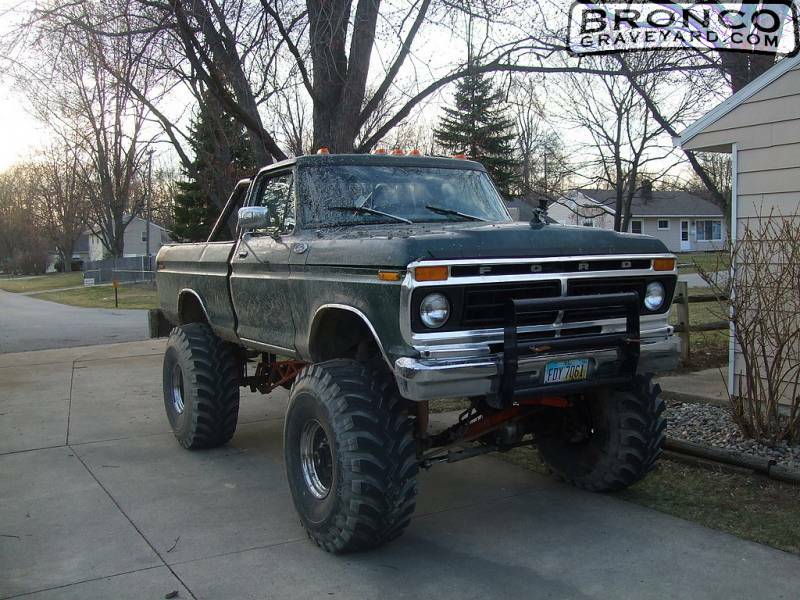 When/If I move over to that large of a tire I plan in getting new 20 inch offset rims. I really like the 71 and 77 grills. I've even considered swapping out the 79 grill for either a 77 or 71 grill. (if the 71 grill would fit). from what i know 73 to 79 are able to be swaped. 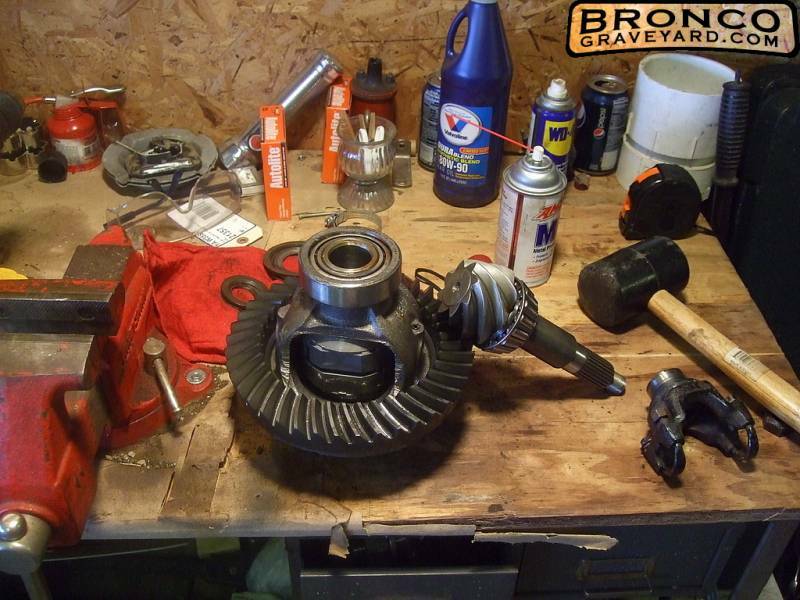 yeah... i have to actually have a shop line up my diff.. i guess it has to be shimmed a bunch of different ways and no one i know will touch it. so its gonna be another $300.